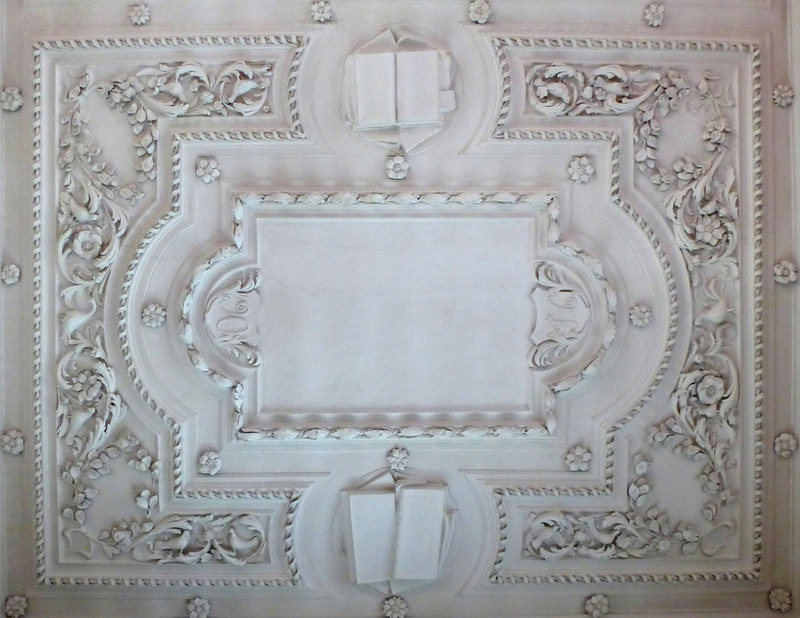 We were delighted to be invited to undertake paint analysis and a condition survey of Henry Doogood’s late 17th century masterpiece ceiling in the Old Library, Pembroke College, Cambridge. Investigations took place in early 2013. Gaping fractures had opened up across the surface of the ceiling and, following our condition survey, the sources of these defects were identified. These included: liberal application of fibre-glass resin to the upper side of the ceiling in the late 1970s, forming a rigid back to the softer lime plaster ceiling, and tacking of laths directly on to beams. 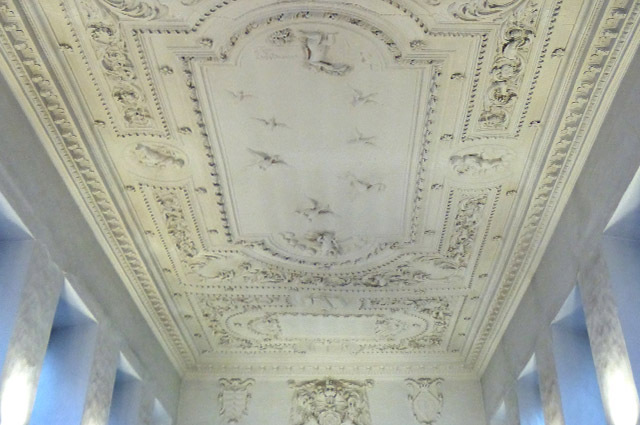 Our work to stabilise the ceiling began in summer 2014 and involved securing of the cornice, removing loose material and filling fractures, replacing defective laths and securing loose, heavy enrichments. 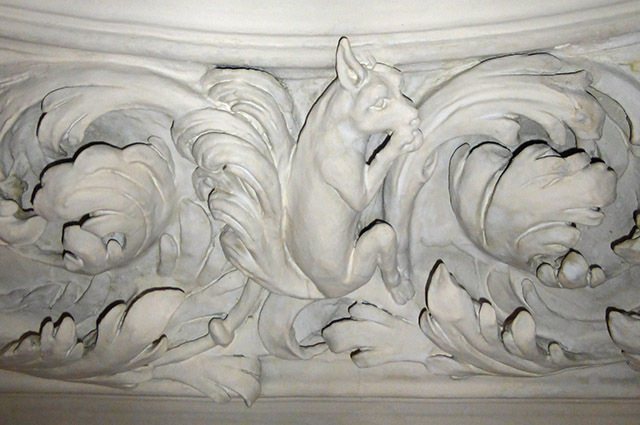 This work formed part of a major refurbishment scheme to the Old Library, including a more controlled heating system and a lighting arrangement to compliment the plasterwork.